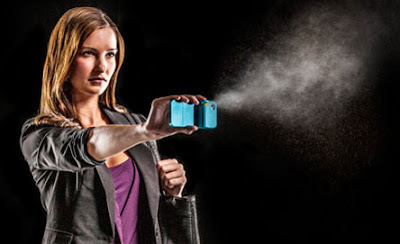 Would You Carry A Phone Case Filled With Pepper Spray? When I was a first year university student, my mom found me a keychain with a pepper spray dispenser attached. I carried it at the ready when I crossed campus late at night and while it didn't make me any less vigilant, I appreciated the idea of it buying me some time in the event that something happened on my way home. These days, I don't have anything of the sort but I'll be the first to admit that I am nothing but a scared little girl when it comes to running or walking outdoors after dark. I've been fortunate to never come to harm, but I was followed on my way to school once as a child, and I've lived in areas where I needed to walk a fair distance through some less savoury areas to get home from the bus. So I've had cause for concern. And let's face it, I'm female; sadly we always need to be on our guard. 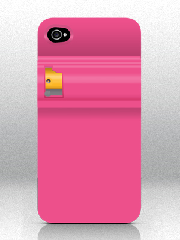 Which made me think long and hard about the design of this Spraytect iPhone case with a built in pepper spray dispenser. It's bulky and big but given how we tend to keep our phones in hand whenever we're idleat the bus stop or even walking home, this might make for a handy way to increase your ability to fight back if you need to. And I picture it being a secondary case that you would snap on for your commute, vs something sleeker for everyday use. Yes, I know we can get into a whole debate about whether women should be carrying weapons for self-defense, and the possibility of those weapons being turned against them in the event of an attack. All valid points. Which is why I am asking: given the risks, would you consider using something like this?